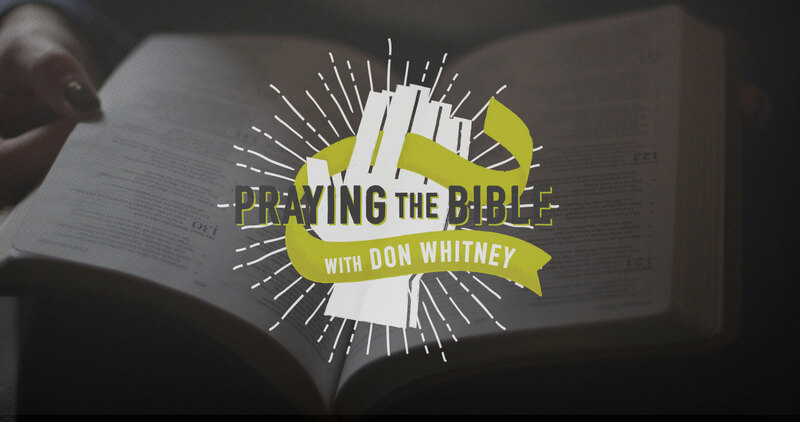 As a whole, the psalms comprise the best place in Scripture from which to pray Scripture. I base that on the original purpose for which God inspired the psalms. The book of Psalms—which means “book of praises” in Hebrew—was the songbook of Israel. The psalms were inspired by God for the purpose of being sung to God. In other words, God gave the Psalms to us so that we would give the Psalms back to God. No other book of the Bible was inspired for that expressed purpose. In light of this, I want to commend to you a systematic approach for praying a psalm each day. The approach did not originate with me, but I can’t recall where I first encountered the concept decades ago. It’s called “Psalms of the Day.” If you intend to pray through a psalm, using the Psalms of the Day approach helps you avoid thumbing through the middle of your Bible, randomly searching for a psalm that looks interesting. Too often, such an inconsistent process results in omitting many of the psalms. It also can slow your devotional momentum as you find yourself aimlessly meandering through chapters instead of praying. With the Psalms of the Day you take thirty seconds or so to quickly scan five specific psalms and pick the one that best leads you to prayer on that occasion. It’s based on taking the 150 psalms and dividing them by thirty days (because most months have at least thirty days). That results in five psalms per day. Or to put it another way, if you were to read five psalms a day for an entire month, at the end of the month you would have read through the entire book of Psalms. While reading five psalms a day is a great practice that many enjoy, that’s not what I’m advocating here. What I’m suggesting is that you take half a minute to quickly scan five psalms and pick one of those five to pray through. If bringing math into prayer is making you skeptical, stay with me; I’ve created a simple, printable prayer guide that visually conveys all you’ll need to understand what I’m trying to describe. Download my free Psalms of the Day Prayer Guide and start praying the Bible today!